LOCAL rice production has plummeted about 97 per cent in the past 26 years and 95 per cent of what is currently produced is used as input for animal feed. This was reported on Monday as the Joint Select Committee (JSC) met with officials of National Flour Mills (NFM) at the Parliament building. JSC member Fazal Karim asked about the volume of rice consumed annually in TT and Nigel Romano said it was about 34,000 metric tonnes. Karim then asked how much of this rice was local rice farmers and how much was imported pre-packaged. He said NFM buys rice paddy on behalf of the government and government guarantees the price. He reported in 1992 approximately 21,200 metric tonnes of paddy was processed declining to 2,859 in 2013, down to 1,893 in 2015. Last year NFM purchased only 585 metric tonnes. Romano said the paddy is converted to 60 per cent yield of rice and this is used for input into production of animal feed (95 per cent) and to make brown rice. NFM CEO Kelvin Mahabir said of the 34,000 metric tonnes about 80 per cent of it is parboiled rice which is not produced locally but sourced from Guyana or South America. He said the bulk of the other rice is basmati or jasmine rice from the far east. He reported the mill at Carlsen Field was operating at 15 per cent capacity because there was insufficient paddy. Karim asked what was the reason for the serious constant decline in rice production. Agriculture Ministry Permanent Secretary Lydia Jacobs said there were a number of reasons for the decline including the removal of farmers from the Nariva Swamp and that farmers had gone into areas of more profitable production. Romano said NFM recommended the divestment of the rice mill. He explained the existing plant was 45 years old and required a significant investment to operate efficiently. He added a major challenge was there were no facilities for the production of parboiled rice. Mahabir said a potential investor had been identified for the sale of the existing plant, lease of land and construction of a parboiling facility and that NFM was awaiting some financial information. 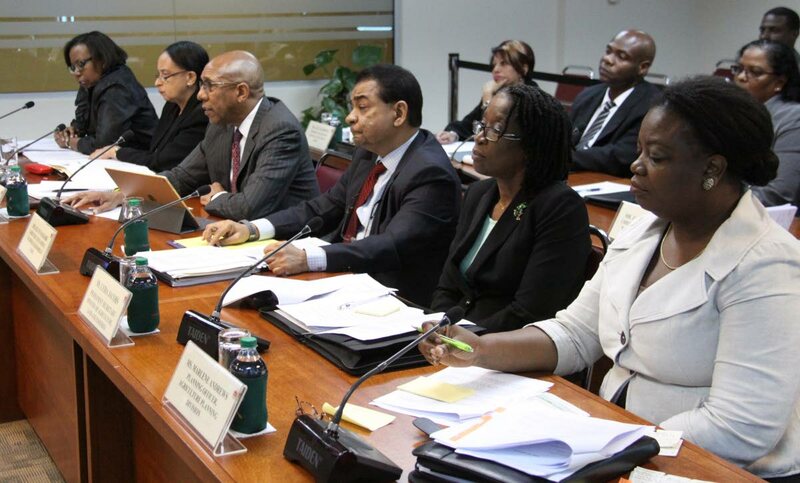 “Without that, any attempt to grow and produce more in Trinidad would end up with a difficulty because we would be supplying something for which there is very little demand.” JSC member Wade Mark asked whether rice farmers being frustrated by the NFM meeting payments on a timely basis had contributed to decline in the industry. Romano said NFM bought rice paddy, graded it and sent invoices to the Agriculture Ministry. He added the system could be improved so farmers were not adversely affected. Romano said NFM had been very profitable and since 2013 profits had averaged $27 million net after tax profit. He also said, up to September 2018, unaudited profit after tax was $19 million. Mahabir said about 10 per cent of NFM products were exported throughout Caricom and a small number to Canada and US. He added NFM was looking at different types of grains to move away from the high dependence on imported grain. Reply to "Rice production plummets 97%"